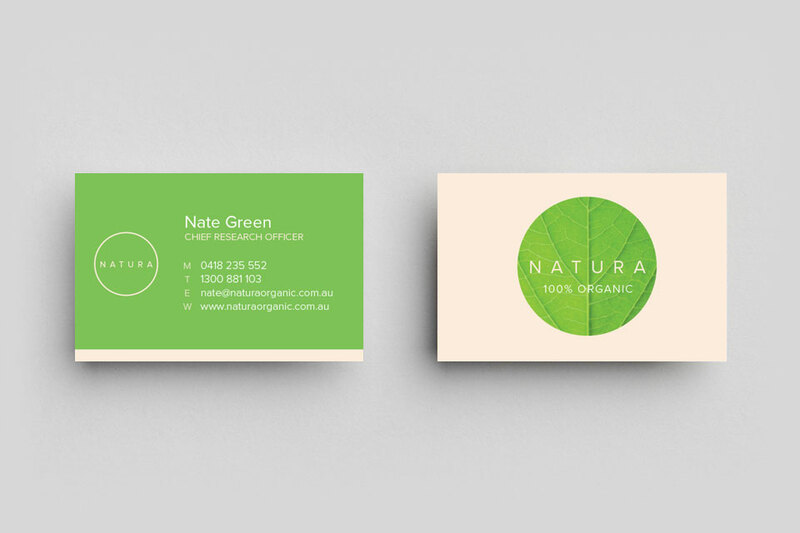 Our Eco Business Cards use a beautiful recycled stock that feels natural and wholesome. This 100% recycled is bright-white and smooth, with absolutely no sheen. 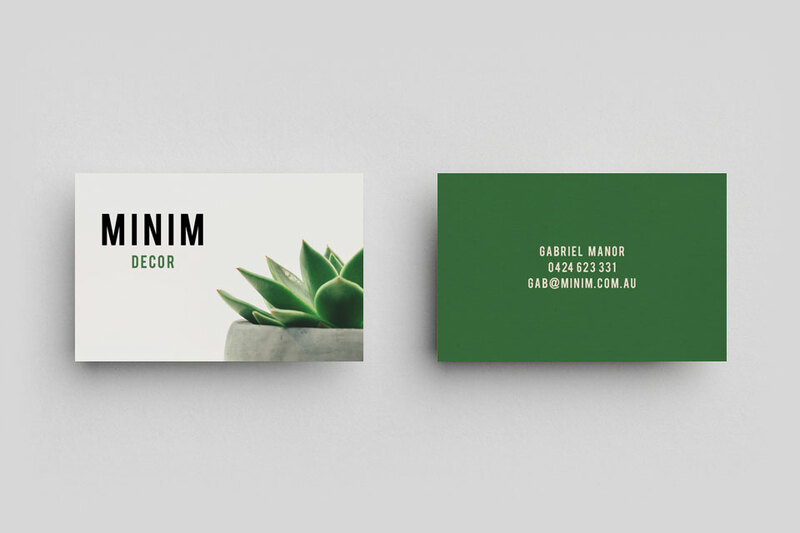 Some prefer their Eco cards to look more recycled, and add a tint of natural colour or texture to their artwork which looks amazing! See and feel our Eco Recycled stock with one of our Free Sample Packs. Read more about our recycled stock. Our EcoStar stock is an environmentally responsible stock which has been independently certified by the FSC, and is manufactured from 100% Post Consumer Reycled paper in a Process Chlorine Free environment under the ISO 14001 system. EcoStar 100% Recycled stock (unprinted) is food contact approved – for dry food only. Check out prices for our Premium 3D-UV Cards! 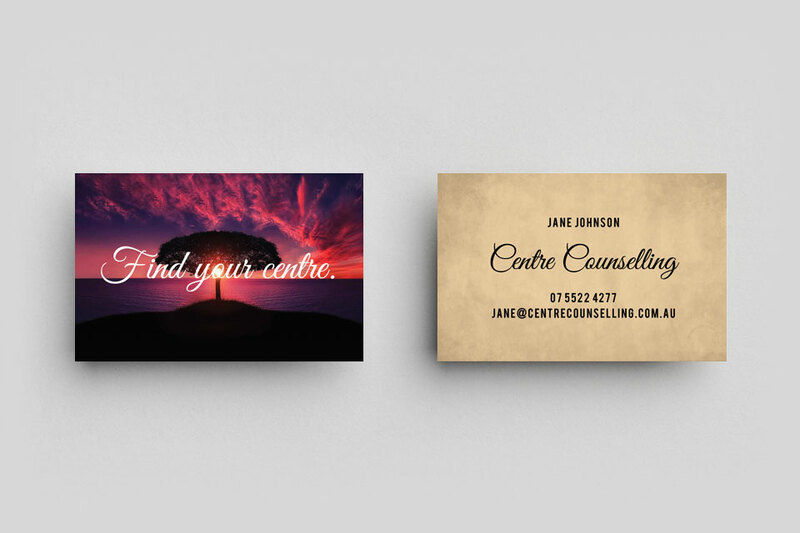 We can print your business cards using your own artwork, or we can design something for you. Start your order now. How long does printing take? Most printing takes 7 days, and delivery takes 1-2 days. We can also work with your deadline, just ask! I have my own artwork to print. Checkout our Artwork Guidelines for our printing specs and templates. You can even send your designer to this page. All printing prices include FREE DELIVERY to Australian addresses! Can I add spot colours? Yes spot colours can be added for an additional fee. Pantone spot colours offer a range of extra colours not achievable with CMYK printing, including neon and metallic spot colours. Your artwork will need to have spot colours added to it. Can I add a recycled icon to my Eco cards? 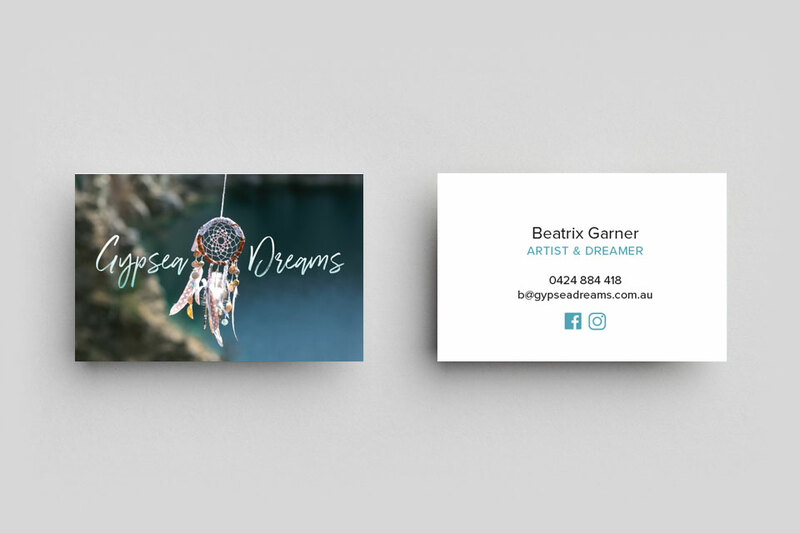 Yes, you can add anything you like to your business card artwork. There are some recognised recycled and eco icons out there, or we can help you design your own. Can 3D-UV gloss be added to Eco stock? 3D-UV raised gloss will not stick to Eco stock. You will need to add a matte laminate first, in which case you would lose the soft texture of the Eco stock. What is the colour and texture of Eco stock? EcoStar stock is bright white and smooth to touch like paper. It has a paper texture which is porous, and has absolutely no sheen. Some of our customers choose to add a tint of colour or texture to artwork to make this stock “look” more recycled. If you are preparing your own artwork for printing, please follow our printing guidelines. We also have blank templates in Adobe formats for you to download. 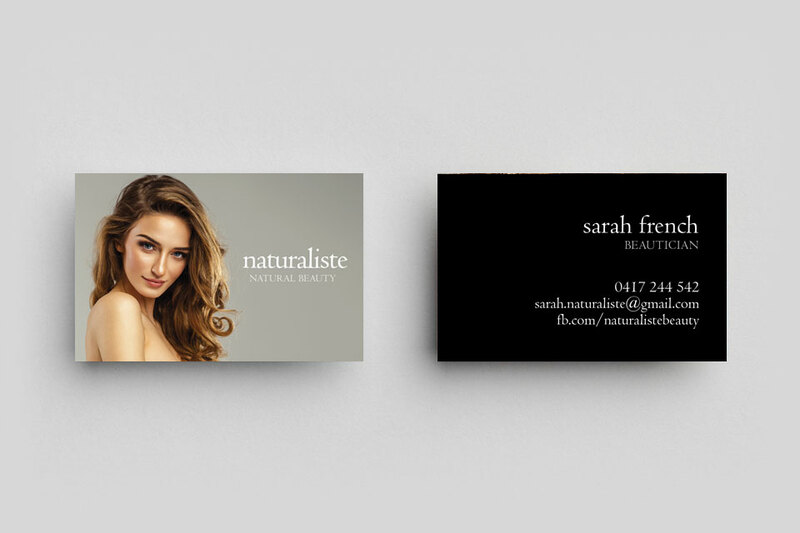 We have professional design and branding services in house! 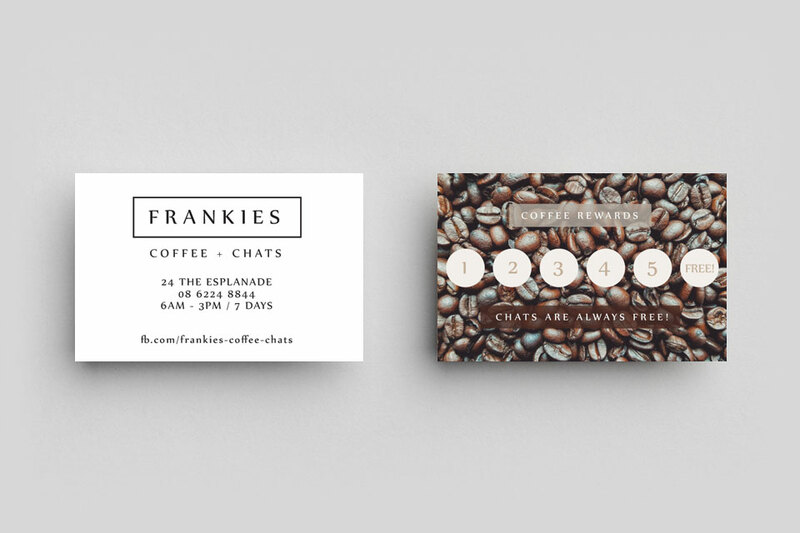 From minor artwork edits to major brand overhauls, tell us about your design requirements.